With the second Avengers movie arriving in theaters at the end of the month, Marvel is starting the hype in comic land with bringing the robot back front and center. 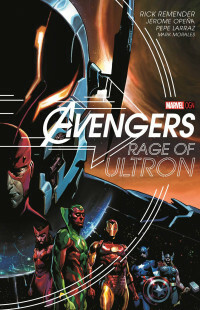 Smartly titled “Rage of Ultron,” this is the latest original graphic novel from the company. After the rather disappointing Endless Wartime, something better was welcome. Is it however worth the hefty price tag of $25? Let’s take a look in detail. It was another glorious victory for the Mighty Avengers. Good triumphed over evil and Ultron was shot into space, never to be seen again. Or so they thought. Now, years later, the homicidal artificial intelligence – so long devoted to ending life on Earth – has found a new world to conquer… one with its own horrific legacy. When Titan, birthplace of Thanos, falls, Planet Ultron rises in its place! Thanos’ brother Starfox must seek the aid of his former allies – but the Avengers he finds are radically different from the ones he once knew. Among them is Ultron’s creator Giant-Man – and when Hank Pym confronts his now planet-sized ‘son,’ the responsibilities of fatherhood have never loomed so large. Rick Remender (UNCANNY AVENGERS) and Jerome Opeña (AVENGERS) unleash the full robotic rage of Ultron on Earth’s Mightiest Heroes! Have you heard of Endless Wartime? That graphic novel had some of hype, but when it came out it garnered average reviews. Now it’s been basically forgotten. Will Rage of Ultron suffer the same fate? Unfortunately, some problems from that graphic novel make their way here. The writing in Wartime was extremely mediocre, where almost every line was a sarcastic comment. Sadly, it’s like that here too, but thankfully to a lesser extent. However, while the writing isn’t as bad, one has to wonder how a line from Beast saying, “You should leave the gallows humor to Momma McCoy’s bouncing baby boy, Steve” made it into the script. The opening is arguably the best part despite that awful line. It’s very cinematic and one hopes the upcoming movie will be able to capture that kind of epic. Though, it does suffer from the fact that while what’s happening is very grim, some of the Avengers are cracking sarcastic comments, namely Beast. Cap is obviously worried, to the point where he’s almost out of character. Some of his lines just did not match. While the writing could be a bit jarring at times, it was truly exciting watching the classic Avengers battle Ultron. Unfortunately, that’s only about 25% of the book; the rest takes place in modern day with the current roster. (Thought you could escape Falcon being Cap here? Think again.) The cover gives the impression that this would include the classic team as the focus, so it was disappointing considering the near-fact that the current roster just doesn’t hold a candle. Going forward, how is the majority of the issue? Rick Remender goes heavy on the melodrama of Ultron’s relationship with Hank Pym and Vision. He does nicely explore those aspects, though does get a little annoying at times, due to Giant-Man being one of the most unlikable characters in the history of comics at the moment. Say what you want about the cartoon Avengers: United They Stand, but nothing will beat that incarnation of Pym, because at least he was likable. But I suppose that could be the point, that the reader is supposed to not like him in the slightest, which in that case the writer has definitely succeeded. The funny thing is that Pym himself in his monologue wonders why he isn’t liked. Well, if he actually heard his own words maybe he would realize why that is. The issue does pose an interesting question: do AIs “count” as life? 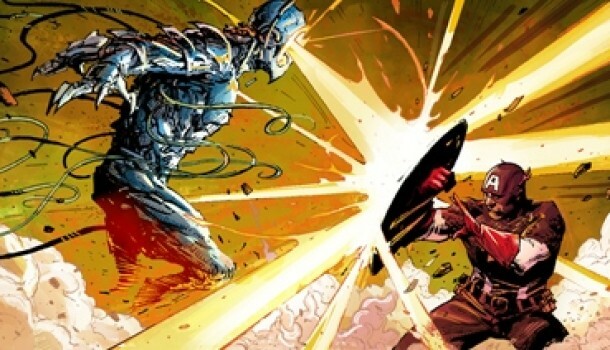 Should the Avengers seek to destroy robots when in combat because they technically do not have souls as humans do? There was some nice dialogue about that throughout the issue, especially with Vision. The Avengers as a team here is definitely lackluster in comparison to the originals. Female Thor for example is pretty generic in her dialogue and no matter how serious the Falcon tries to be, he’s not Captain America. Spider-Man surprisingly has some nice moments. However, obviously besides it being an Avengers title, the main reason why most people are picking this up is for the antagonist of the upcoming film. Ultron basically has two type of characterizations Marvel has used over the years. There’s crazy sarcastic Ultron and there’s logical serious Ultron with no hint of comedy. A good comparison is between the United They Stand and Earth’s Mightiest Heroes shows. There’s not necessarily a better version; it’s how well the writer can utilize him. This is the robot’s first appearance since last year’s Age of Ultron event, and we know how awful that was. The character deserved better, and this graphic novel looked to deliver. Well, his appearance here can be called solid, even awesome at times. He commands a presence, as he should whenever he’s on panel. He is definitely pure evil and has many notable lines, especially in the intro.The concept of him taking over Planet Titan and changing it “Planet Ultron” was nicely executed. The art is quite cinematic. Jerome Opena delivers some impressive action scenes, and gives a unique representation of the robot menace in the present day. 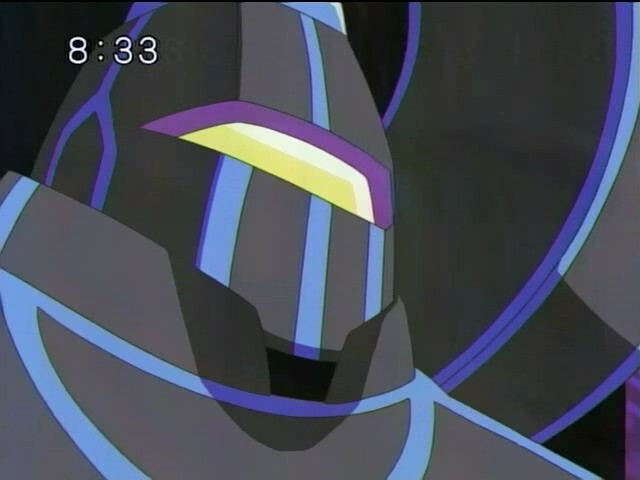 Plus, there’s something quite gripping about a gigantic Ultron planet looming down with an evil grin. (Akin to the Moon in Majora’s Mask.) Endless Wartime had a lot of needless discussion, and while that is apparent here sometimes, there’s a lot of quality action scenes. There’s a good sense of “How will they pull through?” as any Ultron story should seek to emulate. The cover is very impressive, though giving the false pretense that this is a story starring the classic Avengers. Overall, is Rage of Ultron worth the $25? I’m inclined to say no, just reserve it at the library. It’s only worth it if you really like the conflict between him and Pym. The dialogue ranges from a hint of greatness to mediocrity. It’s definitely not bad like in Endless Wartime however. It’s still, in general, a solid Ultron comic. Bump the price down to $19.99, and it would be a solid recommendation. If you’re looking for an Ant-Man/Utron story with the modern Avengers thrown in the mix, or in need of more Ultron after last year’s debacle of an event, this will prove a solid enough read. -Why can't Hank Pym ever be somewhat likable these days?